Photo courtesy of AT&T Performing Arts Center. The dance company's new program speaks from the perspective of the people who created it. Dark Circles Contemporary Dance made an impressive opening this season with Aladdin, Habibi, a full-length performance as part of the Elevator Project that had audience members sitting in the round in the Wyly’s high-perched black-box theater, seated on floor cushions for a spell-binding retelling of the tale that, through the medium of exquisitely physical contemporary dance, flirted with ambiguity and proposed a reading of the narrative that invited the possibility of male love as site of exultation and conflict. For the group’s second program, Winter Series, director Joshua L. Peugh has placed queer narratives front and center in a program which marks the group’s first performance as WaterTower Theatre’s resident guest company for 2019. “This seems to be a time when people are willing to listen to stories with a little less judgment,” Peugh says. It is a time, then, for such a performance; it is a time for DCCD’s sensitive storytelling through dance. The three-part program is composed entirely of world premieres, each with a prominent collaborative element. “Boys Are,” by choreographer Eoghan Dillon, is based on a short dance film that Peugh witnessed two years ago and asked Dillon to expand into a 16-18 minute work. The timing seemed right: “This year, he left Parsons [Dance Company] as a dancer and is working as a freelance artist, so I thought it was a great time to ask him to create something on the company.” In the original short film, five male dancers in floral-print shorts with bows and ruffles frolic to the swinging ‘60s pop song “That’s the Way Boys Are” before the tone and soundtrack shift into a second half that is larded with subversion and commentary. “Dregs,” by Mark Caserta and Mikey Morado is also a fortuitous piece of synchronicity. The two, who have danced professionally for Complexions Contemporary Ballet and Ballet Jazz de Montreal, have been teaching classes for Dark Circles for the past year. This, too, was a chance to set a piece on the company. For his own work, “Bud,” the last of the evening, Peugh has collaborated with New York-based multimedia artist Brian Kenney. “I’m collaborating with my best friend from high school,” Peugh says. “We were drawn to each other as artists then, and now we’re working together…. 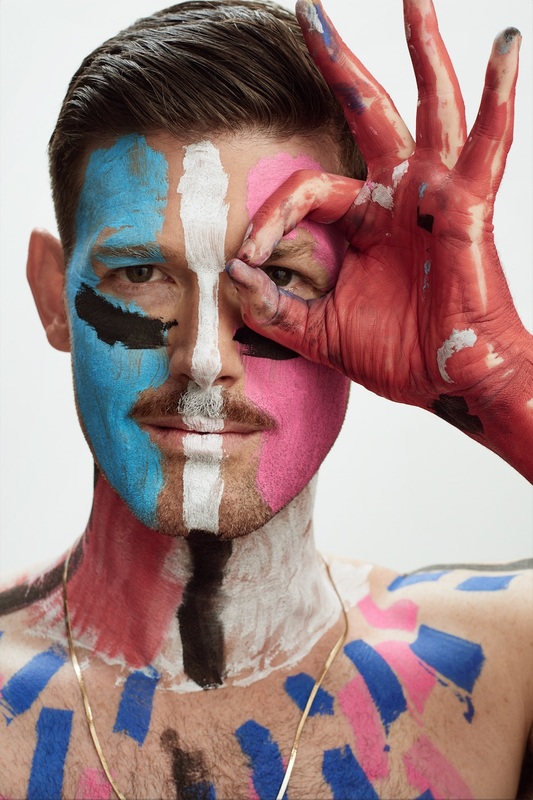 He’s creating a mural during the dance, also painting on [the dancers’] bodies.” Working with chalk, Kenney will create a performance piece reminiscent in some ways of Camille A. Brown & Dancers’ genre-bending, boundary-pushing TITAS performance earlier in the season. There, too, the aim was to subvert expected ideas of narrative. It’s not the first season Peugh has tackled queer themes in his work. Two years ago, Dark Circles performed a piece that drew as its inspiration the lack of sexual education for gay teenagers. It’s a theme he’s addressed in multiple takes. “I’ve sort of been trying to figure out how to deal with it for years now,” he says. He cites the number of films released recently with queer themes—films like the Italian Call Me By Your Name and others. It is, he feels, part of the current climate to find new ways to wade in. The company has also taken the opportunity to raise awareness about Youth First, a resource center for LGBTQ youth, where the dancers have been teaching master classes exploring identity and self-expression. Ultimately, the partnership between DCCD, which has pursued sensitive storytelling since its inception, and WaterTower Theatre, which has been focusing on the new and the challenging, seems perfectly fitting. And Peugh says the black-box space–large enough for a dance company, but small enough to feel intimate–is the kind of space he’s been looking for for the last six or seven years. Following this series of performances, the rest of DCCD’s residency with WaterTower will include shows in March and September. Tickets to Winter Series can be found here.